According to general designer of Kamov helicopters, Russia's Ka-52K (Hokum B) helicopters developed for use on the French-made Mistral-class helicopter carriers will be put to work in the Russian Navy. 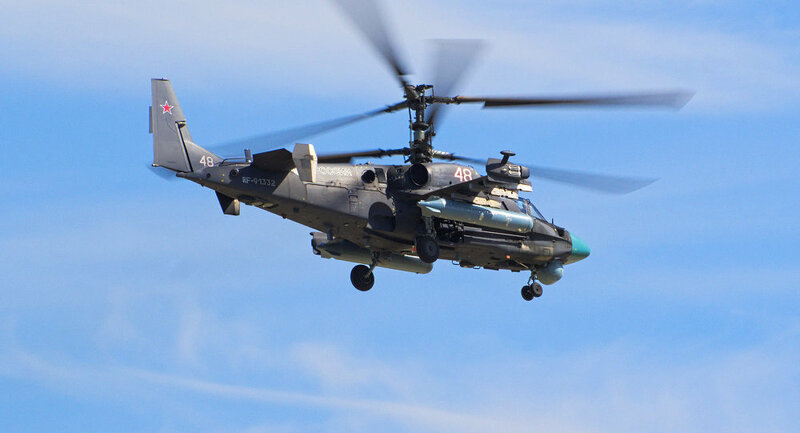 MOSCOW (Sputnik) – Russia's Kamov Ka-52K (Hokum B) helicopters developed for use on the French-made Mistral-class helicopter carriers will be put to work in the Russian Navy, despite a failure by Paris to honor the contract, the general designer of "Ka" helicopters said Monday. "This circumstance [contract on Mistral ships delivery] wittingly or unwittingly led to the fact that the Russian Navy obtained another special purpose helicopter, which will find its remarkable place," Sergei Mikheev told RIA Novosti. Mikheev added that the Navy did not mind re-purposing the helicopters, as they can be used on any Russian Navy vessel. In 2011, Russia and France signed a $1.5-billion deal for two Mistral-class helicopter carriers. France refused to deliver the first vessel by the November 2014 deadline, citing Moscow's alleged role in the escalation of the Ukrainian conflict. In April, Paris stated it could return Moscow's payment for the construction of the ships if the contract were terminated. Russia has repeatedly stated that the cancellation of delivery of the Mistral ships would not affect its Navy.